Home HEMERET GEORGES ET JANINE REPUBLIQUE FRANCAISE - LES PRESIDENTS. 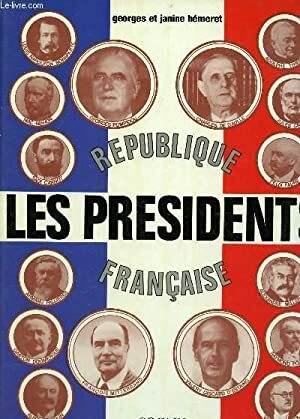 REPUBLIQUE FRANCAISE - LES PRESIDENTS. Title: REPUBLIQUE FRANCAISE - LES PRESIDENTS.